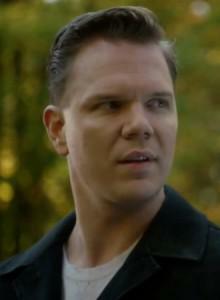 True Blood’s Jim Parrack guest starred in last Monday night’s “Alcatraz”. 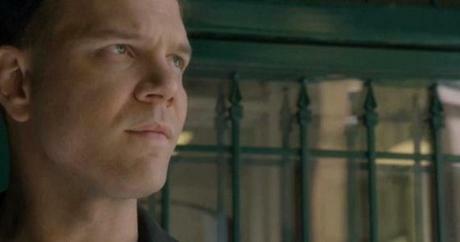 The story revolves around conflicted prison guard/training officer Guy Hastings (played by Jim). The episode starts off in the present, and on the island prison, where the titular guard Guy Hastings is scrounging around his former value-priced apartment in search of a few family photos and a handgun that was stashed away behind a loose baseboard. An Alcatraz Park Ranger, who is promptly beaten to a pulp by the former guard, interrupts Hastings’ trip down memory lane, thus alerting the task force to his presence. You first think that Guy Hastings is a guard gone bad, but you later find out the truth. Jim was great in the part playing a very different character than his Hoyt Fortenberry on True Blood. I I enjoy seeing Jim in other work which provides opportunities to see his range of acting skills, which I think are significant. The full episode with Jim should be available on IMDB shortly to view.